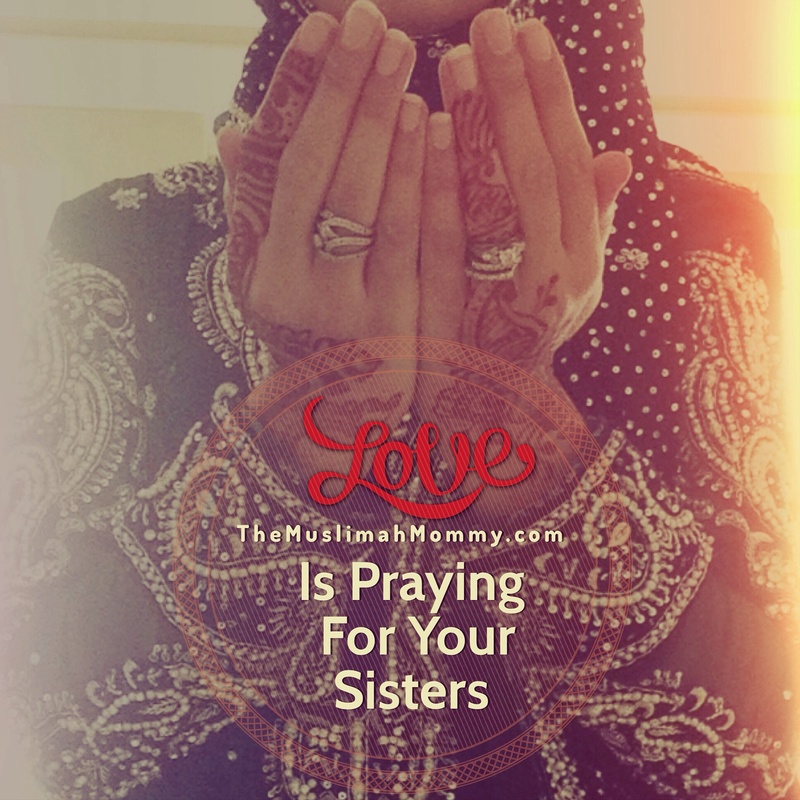 Love is…praying for your sisters. Oh Allah, fill the lives of these women with light and ease. Oh Allah, reward these women for every tear that is shed, reward them for every hardship they have endured! Oh Allah, make it easy for these precious sisters! Oh Allah, give these women friends who will support and love them, friends that they can trust and turn to! Oh Allah, shower your blessings upon these women and grant them Jannah in the hereafter! jazakillah khoir for your great duas my dearest sister. It’s really touched my heart. I’m so emotional to read it. I’m keeping you in my duas dear sis. A lots of loves for you and your beautiful family! Jazakillah ahsanul jazaa my dear sis! Insha’Allah. I pray the same for you, Sis!